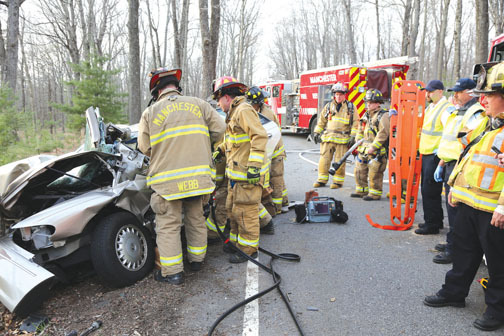 On April 18, 2016, Manchester personnel responded to an MVA on Finley Street. On arrival, crews encountered a car versus tree accident with the driver pinned under the dash. It took members about 20 minutes to extricate the driver for transport to the hospital.